Meet Devin, a thirty-something Chicago girl (formerly of Kansas City) I met her years ago when she was an attorney at the same law firm as my husband and I remember thinking she was one word: CHIC. Devin stood out to me because she always looks effortlessly stylish. She dresses the way I envision myself dressing in the movie version of my life. She just exudes confidence, class and sophistication. Over the years we have kept in touch on Facebook, so when I decided to do this feature she was one of the first people I asked to participate because I am dying to know her secrets. She’s always been fit, but recently she has taken it to the NEXT level, so I am really excited to share her diet and workout plan! The pool is about to open and I am SO ready for this serious inspiration served up by Miss Devin! MKM: What all did you eat yesterday? DB: I focus on consuming lean protein, green vegetables and at least three liters of water. Sometimes I will substitute meals with whey protein shakes or low carb protein bars, but most of my calories consumed are from whole foods. DB: Sushi along with my favorite cocktail, St. Germaine and Champagne. DB: I have been curvier and thicker (with weight all in the right places! ), but I have never been medically overweight or obese. I’ve committed myself to a lifestyle of cardiovascular exercise, weight training and nutritious eating to maintain. DB: I have a distant fitness coach, Kat Williams of Kat Pro Fitness, as well as a local coach, La’Drissa Bonivel of Team SuperBody. 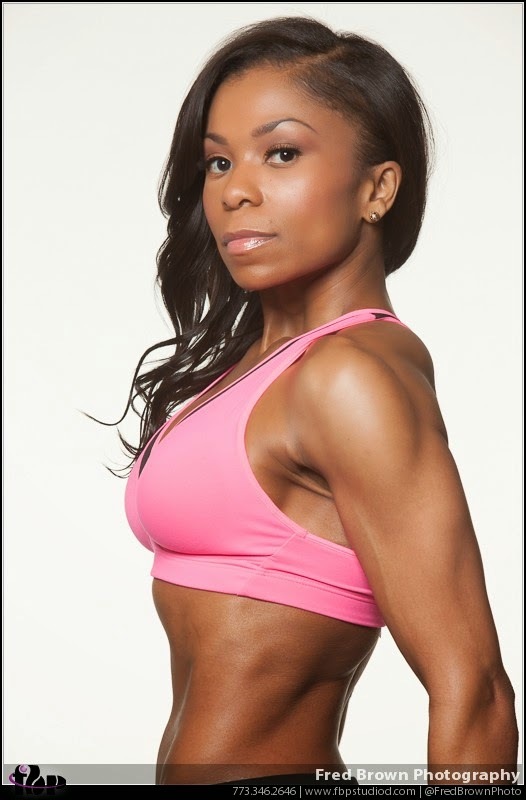 Kat is a Professional IFBB Bikini competitor and La’Drissa is a Professional IFBB Physique competitor. My coaches provide nutrition and training plans to ensure that I meet my personal goals. I love seeing my new plans every month – I never get bored! DB: Absolutely! At one point I belonged to two different gyms. I exercise at my gym, in the fitness room of my condo building or in my living room. It depends on my mood. Finding a gym that has the right energy is key for fitness motivation. DB: I typically train 5-6 days per week. I perform high intensity interval training (HIIT) cardio and change my weight training every week. Some weeks are low sets, high reps while other weeks may be high sets, low reps – my coaches always keep my body guessing! DB: I absolutely wear cute clothes when I train. If you look good, you feel and perform well! The only time I wear make-up while exercising is if I hit the gym right after work and forget to wash my face. DB: I generally weigh myself once per week but not too often. I have a few articles of clothing that I use to gauge my fitness level and physique. I focus primarily on how I look rather than the scale. I actually weigh a lot more than people think. MKM: Do you count calories and if so what number do you shoot for daily? DB: I focus on macronutrients and ensure that I consume a certain percentage of my calories from protein, complex carbs and fat. I generally ensure that I consume the following macronutrient composition: 50% Protein, 30% complex carbs and 20% fat. When I really want to dial in I will consume 60% of my calories from protein from light, white fish such as tilapia, mahi mahi or cod. MKM: Do you use an app like MyFitnessPal or LoseIt? DB: I use MyFitnessPal. 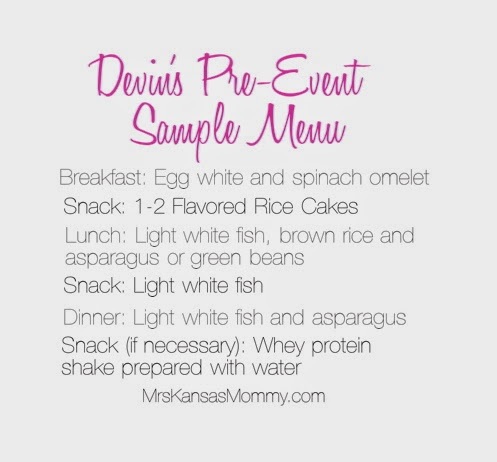 I love the nutrition visual chart that it provides so that I can track my macronutrients throughout the day. It makes it very simple to determine whether I need to consume more protein or whether I can load up on greens or almonds. MKM: Do you work out with a buddy or by yourself? DB: I prefer to train alone. I consider the time that I train as “me time” and use it to escape from everyone else. I set my phone to “Airplane Mode” and treat my time training as if it were a spa treatment. DB: I attribute my current physical fitness level and physique to consistent, challenging weight training sessions. I was diagnosed with a thyroid condition in 2007 and my endocrinologist told me that I would have to put forth effort to maintain a desirable weight. He said that I would be better off “controlling the shape” of my body with weight training rather than “eating right.” Also, I realize that my body does not metabolize simple carbohydrates well at all so I limit those. MKM: Who are your fitness role models? DB: I generally admire anyone committed to a healthy and active lifestyle. Life can get cRaZy so it is important to always invest in yourself by adhering to a healthy lifestyle. Jonathan Blount – We met in college and have been friends for nearly 15 years. He is now a certified personal trainer and Nationally Qualified NPC Physique Competitor. 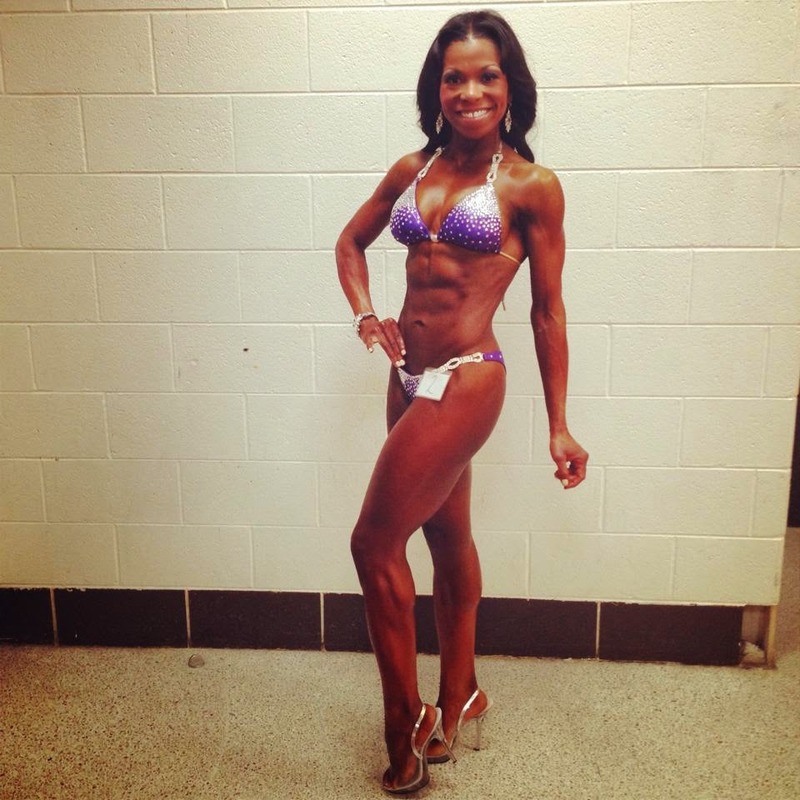 Kat Williams – My distant fitness coach that is a Professional IFBB Bikini athlete. 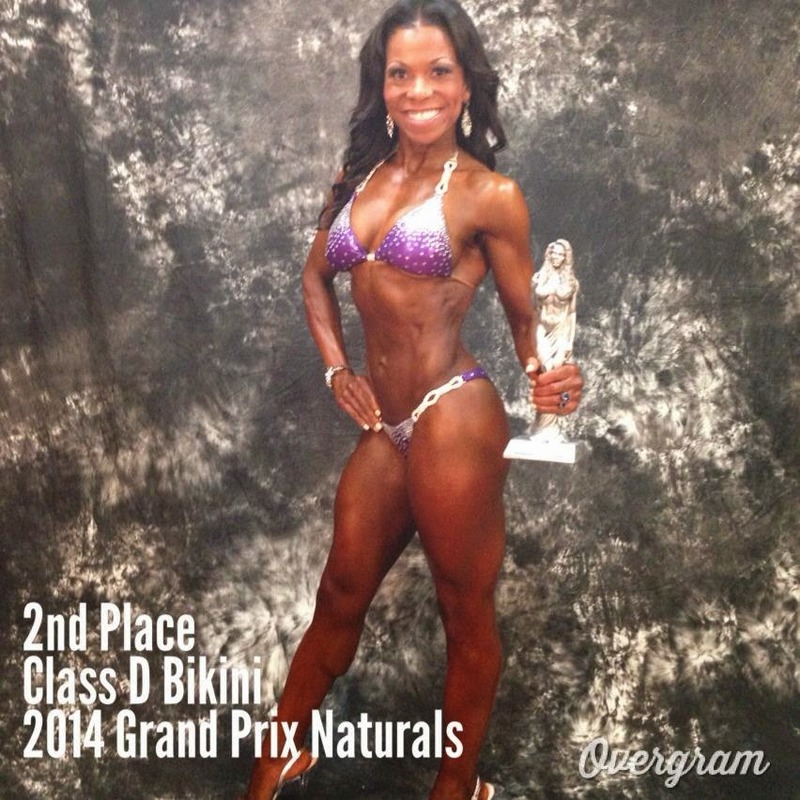 Erika Tremble – A friend that made an amazing transformation and is now a NPC Figure Competitor. DB: I love “Fitspiration” on all social media. My Mother is an avid Pinterest user and often sends me memes, healthy recipes and workout ideas. And I peruse Instagram throughout the day to see what members of my #fitfam are eating or training. 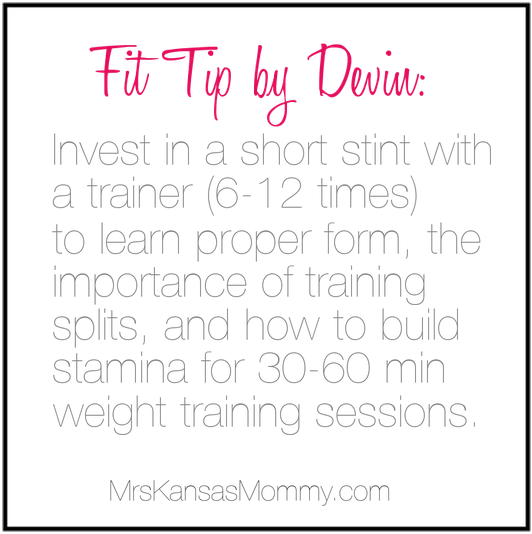 MKM: What’s the best advice you have for someone who is trying to slim down/tone up? Determine your goal. Do you want to lose weight, maintain weight, lower cholesterol, increase strength or just look better naked? Become self-aware and determine how your body metabolizes certain macronutrients and whether you should focus on cardio or weight training. Give yourself adequate time to reach your goal(s). MKM: What’s your fitness philosophy? Follow Devin @dwhitneyb for more inspiration!